Every been sat on a flight on your own? whether a solo trip or not being able to sit with friends? Possibly an uncomfortable experience when even sat between two strangers with the need to create British small talk. Fear not our parking heroes, our 5 top facts will leave you looking like an experienced traveller. Not only that these facts really are interesting! Dimming the Lights is actually for your safety: Fact! Ever wondered why they dim the lights in the cabin for take-off and landing at night? Its not as if they are going to distract other drivers (flyers) and they don’t in the day. Well its for your safety! There is 50% more chance of problems flying in the take off and the landing. The lights in the cabins are dimmed not for the pilot’s safety but for the passengers to be more accustomed to the dark. In an emergency, passengers exit the plane and the dim lights will ensure that eyes adjust to the lights when you leave the aircraft – makes sense now, doesn’t it. 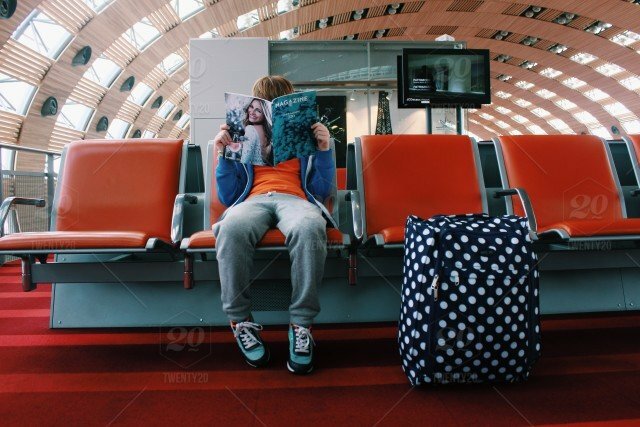 Airlines allow us baggage on to the plane in most cases at no extra charge. This leaves us with a free luggage allowance and a weekend away is easily packed into a sleek wheelie case. Now weight and sizes of these cases vary from airline to airline. So please check your allowance, but if there is a weight allowance beware. Most wheelie cases weigh around 2-3kg. If you only have a 5kg allowance in your wheelie case you will struggle to pack a few pairs of spare pants let alone your laptop. Our top tip is to look at sharing your weight with a travel companion and stuff your cases with light clothing and fill up a light weight rucksack with a full 5kg of the rest of your stuff. Better to have up to 11kg between you than maybe as little as 4kg. First of all, Aeroplane food seems to have us divided, we are firmly in the camp that opening lots of little pots of food makes the food yummy. Did you know that eating at 39,000 feet above the ground changes the taste of the most well-known dishes? Its not the airlines fault or even the food companies fault and they even try to develop dishes and taste test them in the air to give you the best taste sensation. Lots of dishes have more salt added to increase you taste perception and ensure you enjoy your meal. So, there you have it travellers when you are flying your food tastes different. There is a sensible reason why they dim the lights anD occupied doesn’t mean the stewards cant come in! We would love to here what your interesting travel facts are. Maybe you could feature in our next blog.